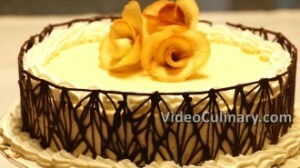 Make this beautiful Bavarian cream sponge cake for someone special. 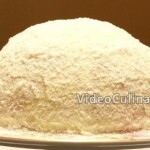 Make the sponge: Place 4 eggs, 3 yolks, 250 grams (9 oz) of sugar and 2 teaspoons of vanilla sugar in a bowl. Place over simmering water and heat to 40 ° C (105 F °), stirring constantly. 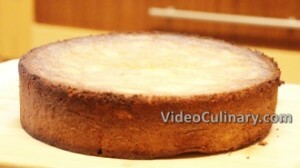 Bake at 180°C (350°F) for 30 minutes. Test for doneness – an inserted skewer should come out clean. Cool slightly, invert onto a rack, unmold and cool completely for a few hours. 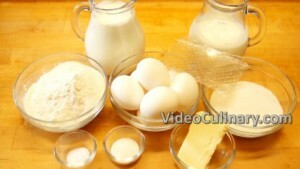 Make the Bavarian cream: Soak 15 grams (0.5 oz) of gelatin sheets in cold water. Make the Simple Syrup: Place 100 ml (3.5 oz) of water and 100 ml (3.5 oz) of sugar in a saucepot. Bring to boil, stirring until the sugar is dissolved. Cool completely. 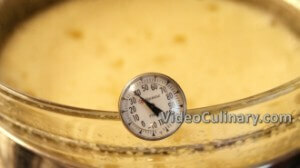 Back to the Bavarian cream: Combine 5 egg yolks and 40 grams (1.5 oz) of sugar in a bowl and mix. Whip 500 ml (1 pint) of heavy cream (min 30 % fat) until stiff. Add into the mixture in two batches, folding gently until incorporated. The Bavarian cream is done! 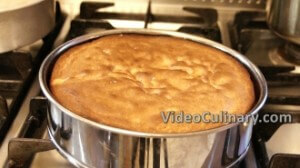 Assemble the cake: Slice the sponge into 2 layers. 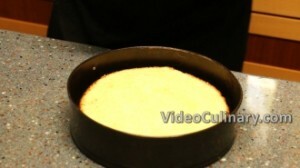 Place a layer of the sponge, cut side facing up, in the center of a 26 cm (10 inch) cake pan. Brush with the simple syrup. 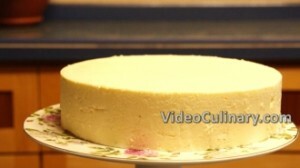 Spread ⅔ of the Bavarian cream over the sponge, making sure to fill the sides of the cake pan with the cream. 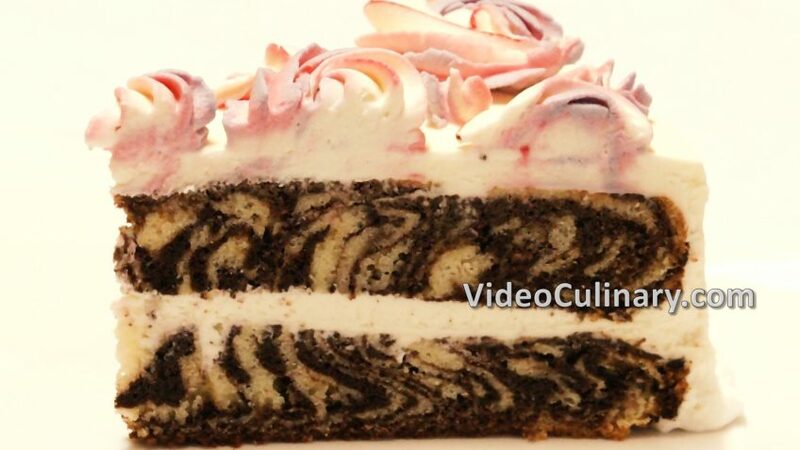 Place the second layer over the Bavarian cream, cut side facing down. Brush with the simple syrup. 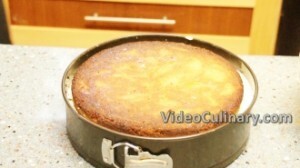 Spread the remaining cream over the sponge evenly. Refrigerate for at least 5 hours. 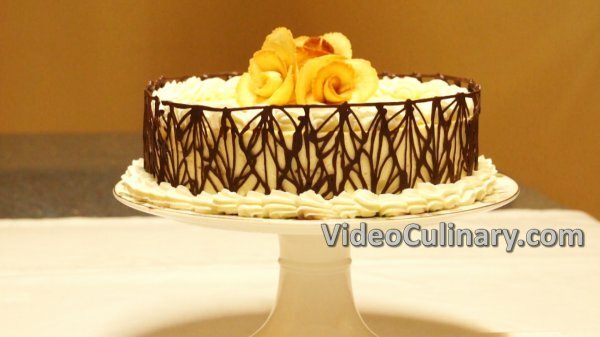 We are going to decorate the cake with chocolate lace on the sides, and cookie flowers on top. You’ll find other decorating techniques and ideas on our website. Cut a piece of parchment paper that would be slightly higher and longer than the cake itself. You could use 2 pieces of parchment paper if you have to. 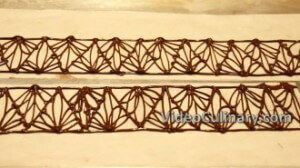 Draw lines on the parchment paper using a pencil. You could draw random shapes, or a specific design. Make a parchment paper cone. Flip the parchment paper over and place on a tray that fits your fridge. Pipe melted chocolate over the lines you drew earlier. Place the tray in the fridge for about 2 minutes. The chocolate should set partially. 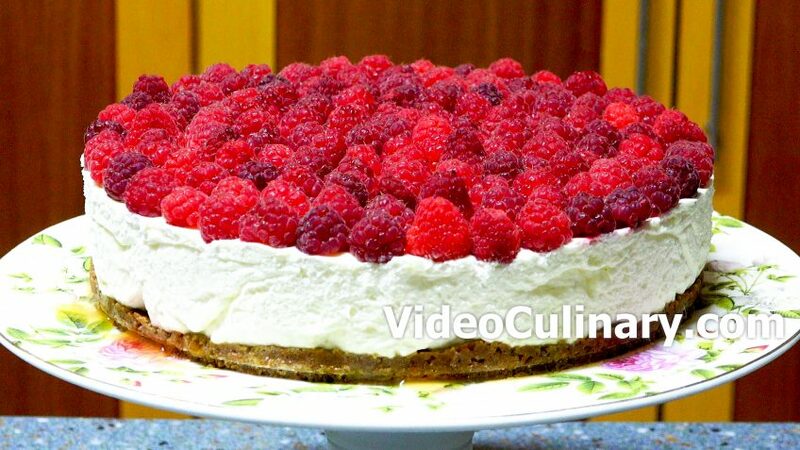 Remove the cake from the fridge. 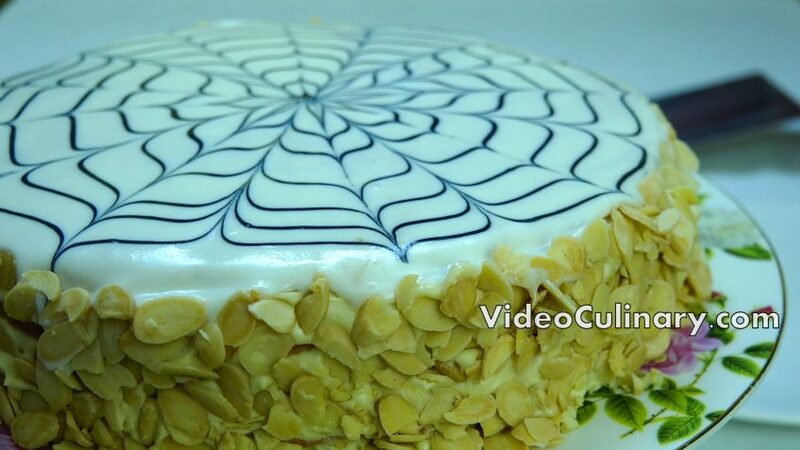 Run a small knife around the sides of the cake to unmold it. Place on a serving plate. 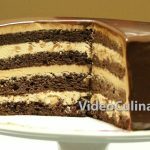 Remove the chocolate cake from the fridge, and wrap around the cake. Press very gently. Place the cake in the fridge for 5-10 to set completely. Remove the parchment paper carefully and gently. Pipe a buttercream border around the top and bottom edge of the cake. 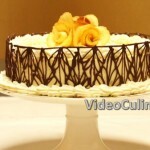 Pipe flowers, place berries or cookie roses on top of your cake. The cake is ready to serve. Enjoy!